“Part of the answer to Washington state’s mental-health crisis could be found in a mothballed fabric and craft store in Spanaway. Community health centers are asking the Legislature to put $15.1 million in the 2019-21 capital budget to expand behavioral health services around the state. Behavioral health focuses on serving people with mental health or substance abuse challenges or both. The state’s two-year capital budget pays for bricks-and-mortar projects. Among the 22 projects that would be funded with the requested money is a $1.25 million proposal to renovate the former Jo-Ann Fabric store on Pacific Avenue South in Spanaway. Thank you to all who participated in the annual PIT Count in Pierce County! Our RAIN (Rising Above the INfluence) Team recently partnered with the local chapter of Mothers Against Gun Violence and the City of Tacoma to proclaim Saturday, June 2nd, 2018 as Gun Violence Awareness Day in Tacoma. June 1st through June 3rd is National Gun Violence Awareness weekend. Please consider joining us in wearing orange in honor of the victims and survivors of gun violence. Share a photo of yourself wearing orange on social media with the hashtag #WearOrange and click here to learn more about the movement! 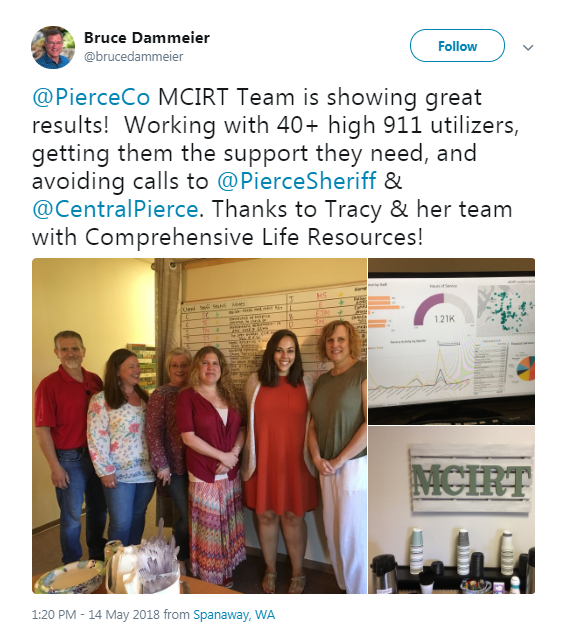 Our MCIRT Team is doing great work in Pierce County! According to a study commissioned by the Pierce County Council, 19% of people in the county are suffering from some kind of mental illness. Dammeier pointed out that last year the same 22 people with behavioral health needs made more than 100 calls per month to 911. "Once we started the MCIRT, these calls dropped to about 40 a month - a 60% reduction," Dammeier said. "This represents a massive savings of time for our first responders and more appropriate care for the callers." Genoa Pharmacy grand opening at our downtown Tacoma location! We would like to spotlight a partner of ours, Comprehensive Life Resources. They are committed to a holistic approach and philosophy that considers and embraces the whole person. Scattered across Pierce County, and every corner of America, are people who fall through safety nets for the elderly, disabled, and those suffering from mental illness. Thank you to our friends at TPU! We are forever grateful for your kindness and generosity. The Tacoma Gang Reduction Project has undergone a transformation - including a new name, an expanded model, and an increase in community engagement. 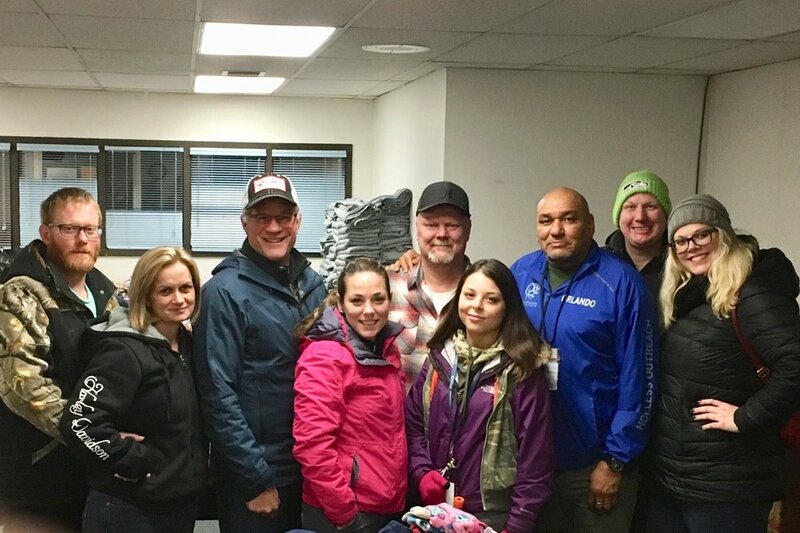 The Mobile Community Intervention Response Team works to connect people with mental health services. With so much data, CLR can analyze it to find trends and patterns in where homeless activity takes place, how homelessness changes during different seasons, and how demographics factor in. The program has reached out to over 1,000 businesses since it began.